Time4Learning offers printable math worksheets for many of the interactive activities that accompany the online math lessons. Parents will find worksheets for arithmetic, operations, geometry, algebra, measurements, fractions, money, patterns and statistics. 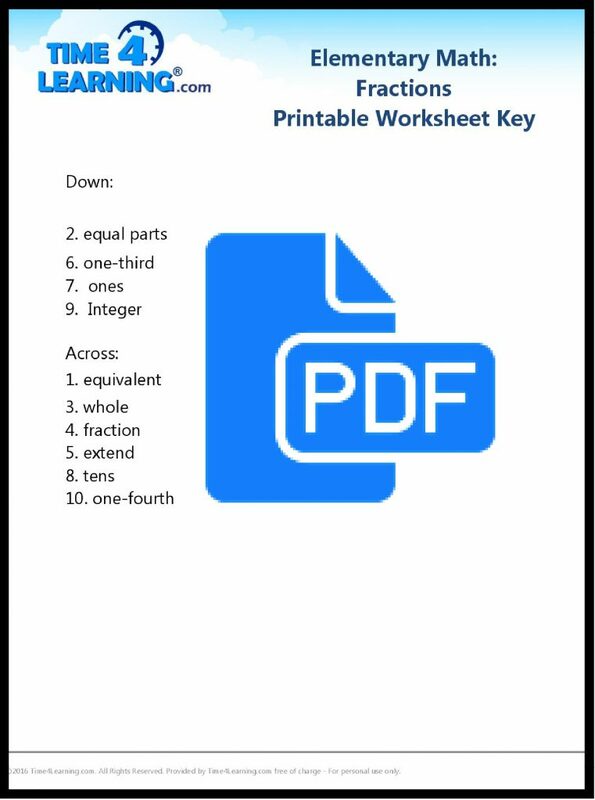 There are also printable math worksheets on time, length, weight, temperature, graphing, probability, ratios, percents, decimals and linear equations. Does your elementary homeschooler need some reinforcement with their fractions? 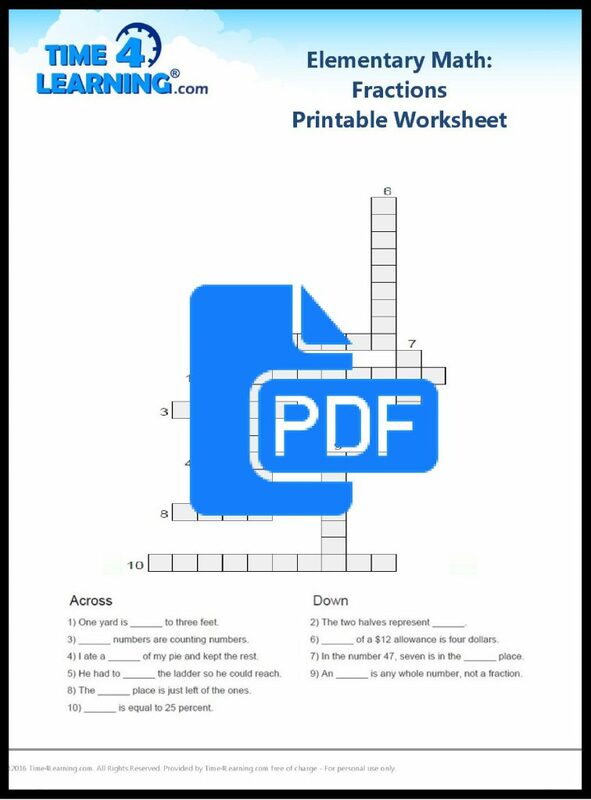 Download our free printable worksheet.